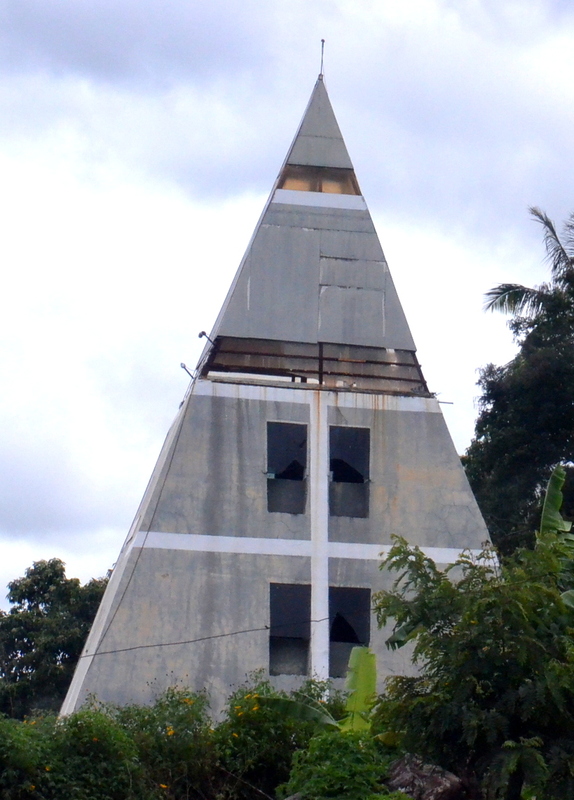 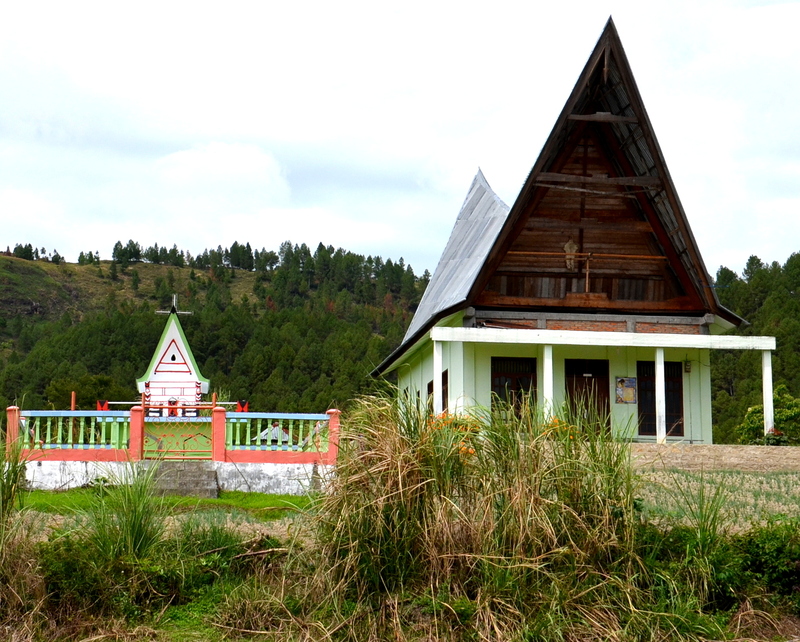 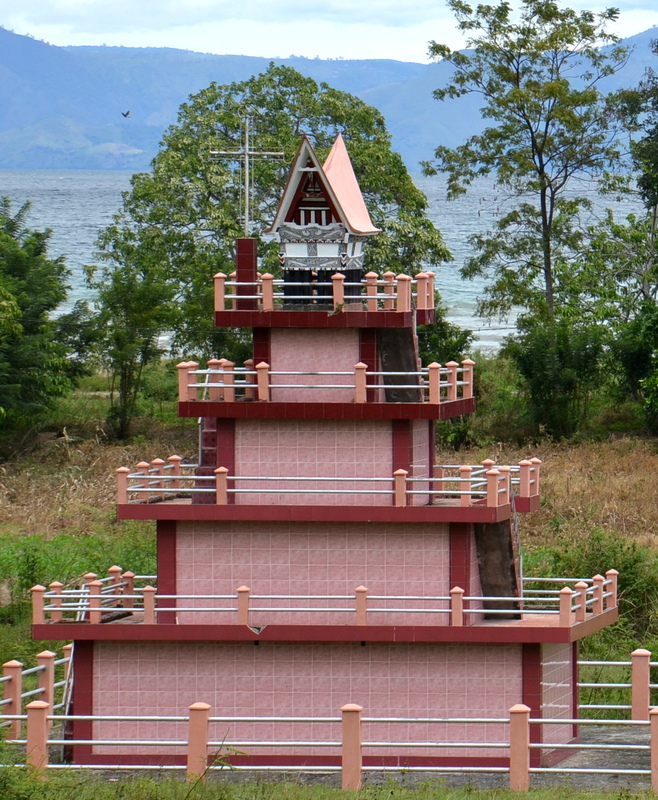 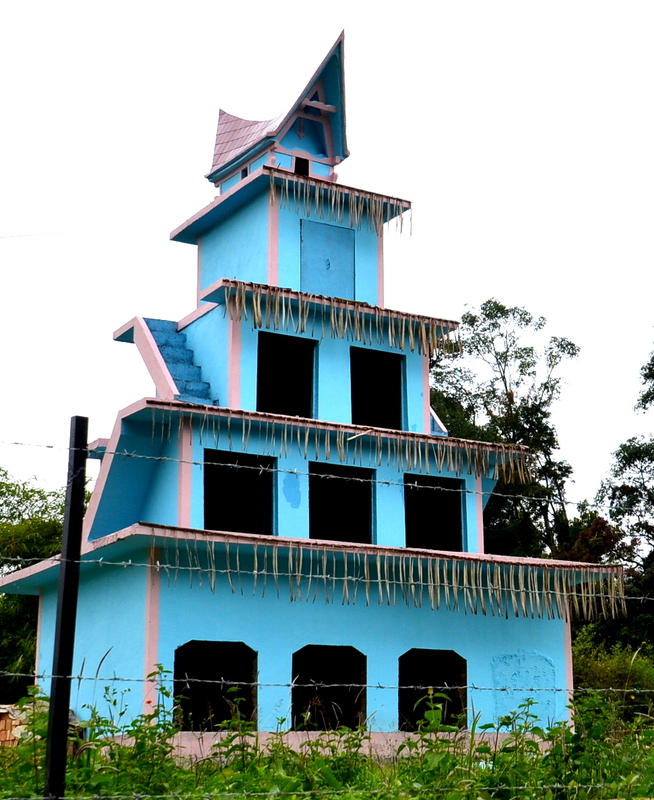 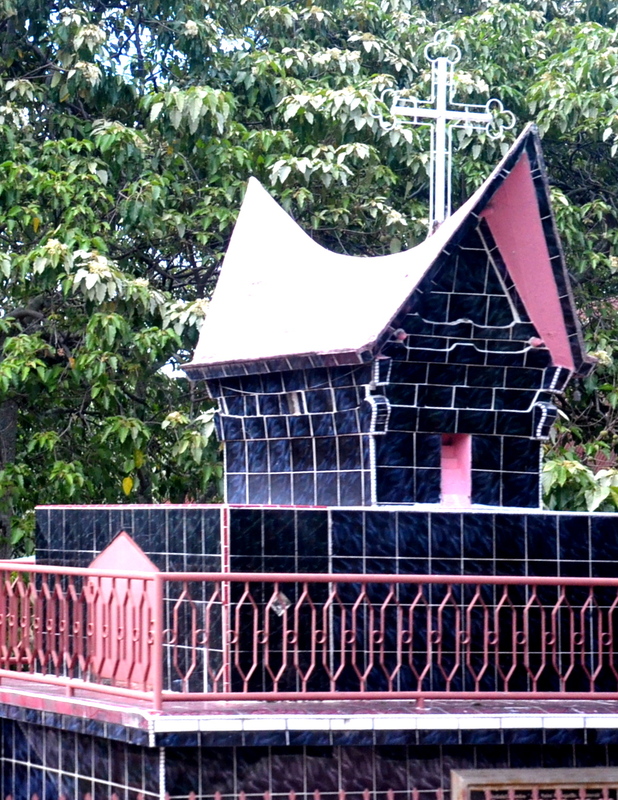 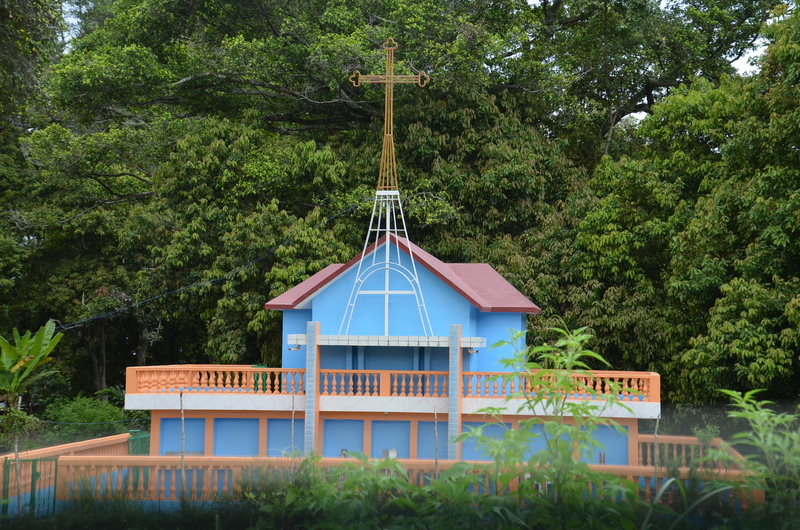 Each one resembled a miniature church, pyramid, or a multi-layered structure that reigned magnificently throughout Samosir Island. 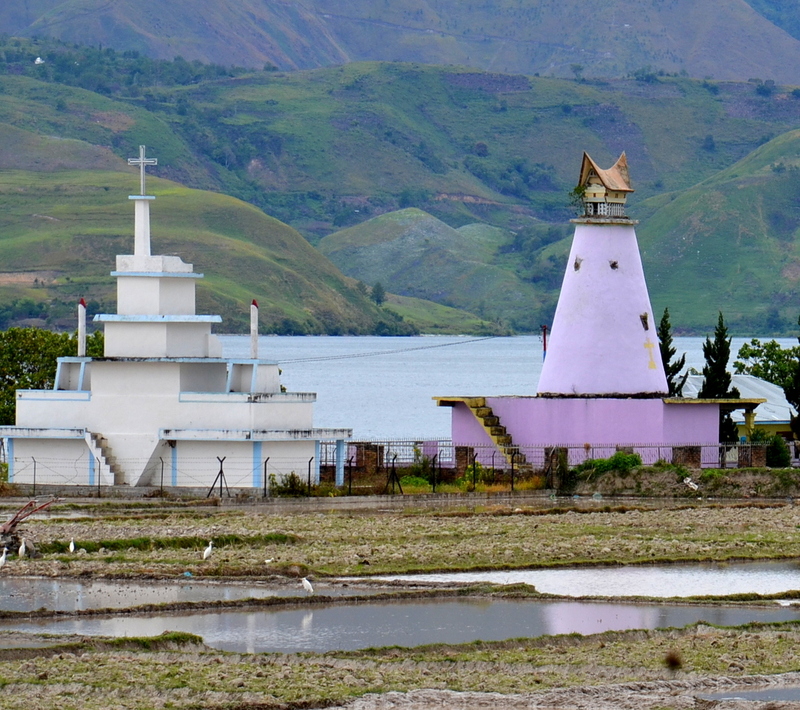 They were all different colors, shapes, sizes and designs that sat in rice and vegetable fields, next to Toba Batak family homes, on top of hills and near the lake. 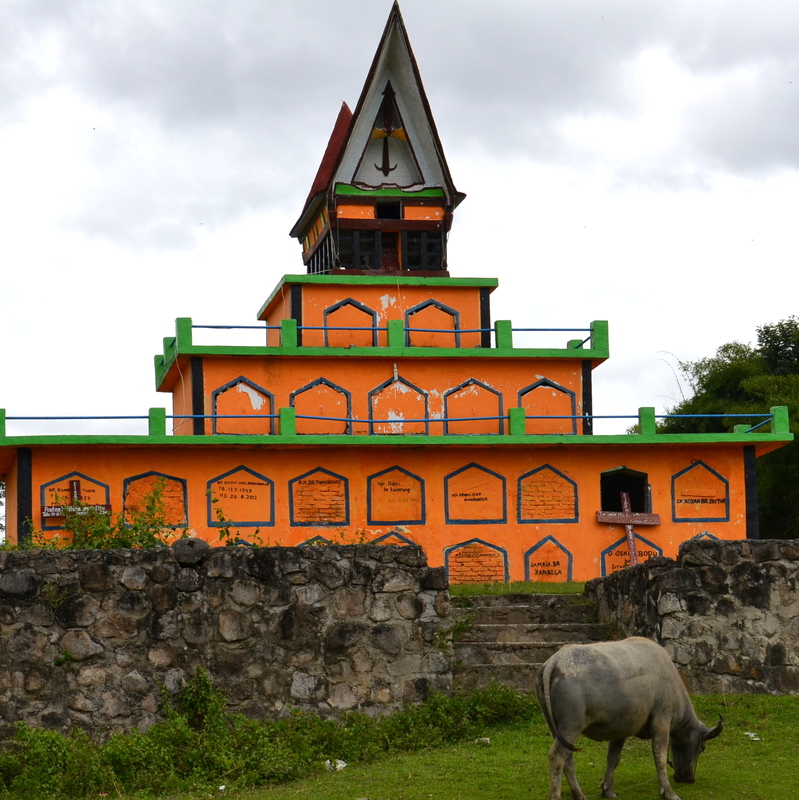 These were the beautiful Toba Batak family tombs on Samosir Island, the largest island in the world located in a lake, Lake Toba, which is the deepest volcanic lake in the world at 1,666 feet or 505 meters, in the northern part of the island of Sumatra, Indonesia. 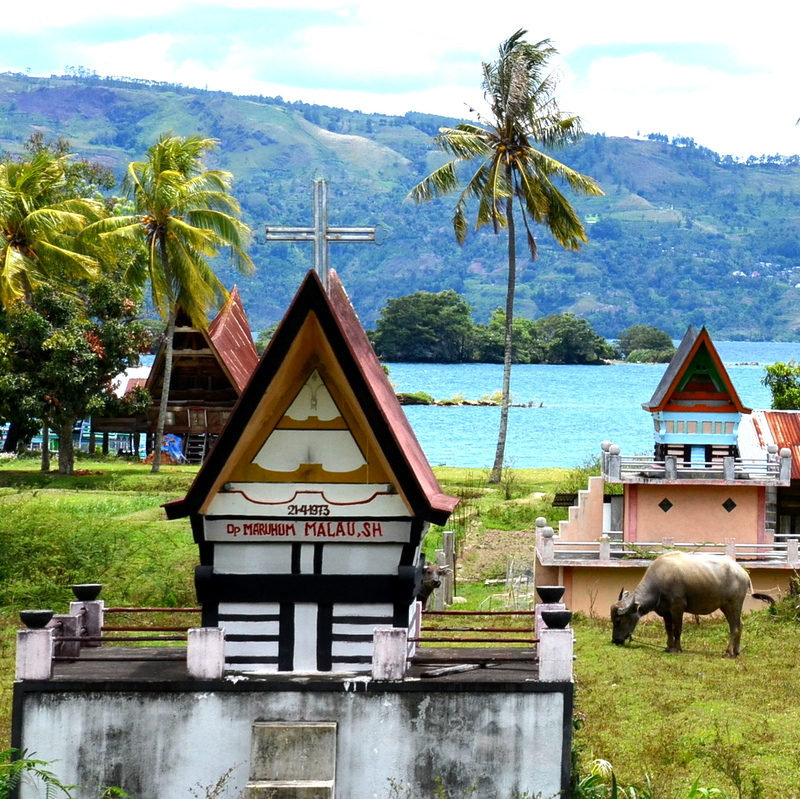 We viewed over 50 tombs as we circled Samosir Island looking at the design of the Toba Batak homes, its people going about their daily lives, the rice fields, the mountains and those magnificent tombs on a Bestway Tours and Safaris tour of Indonesia. 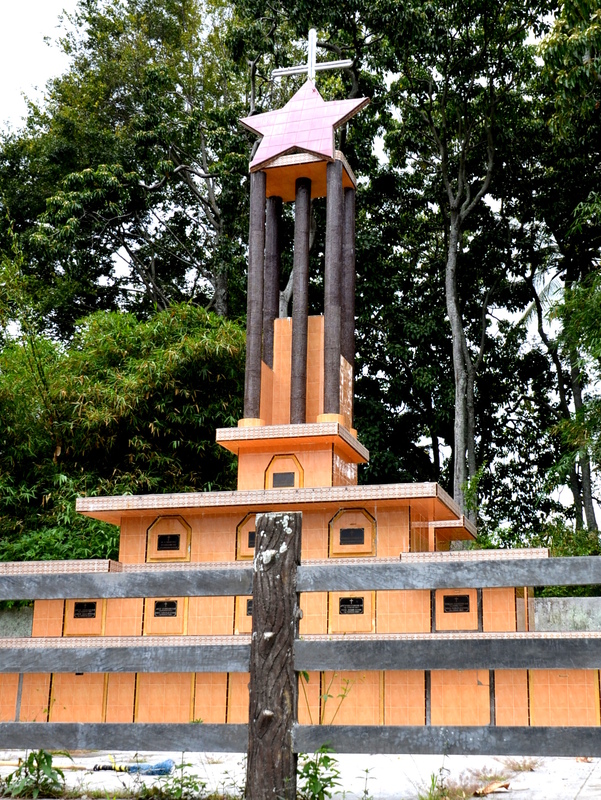 The glorious monuments are perpetual remembrances and a place of honor to many past generations. 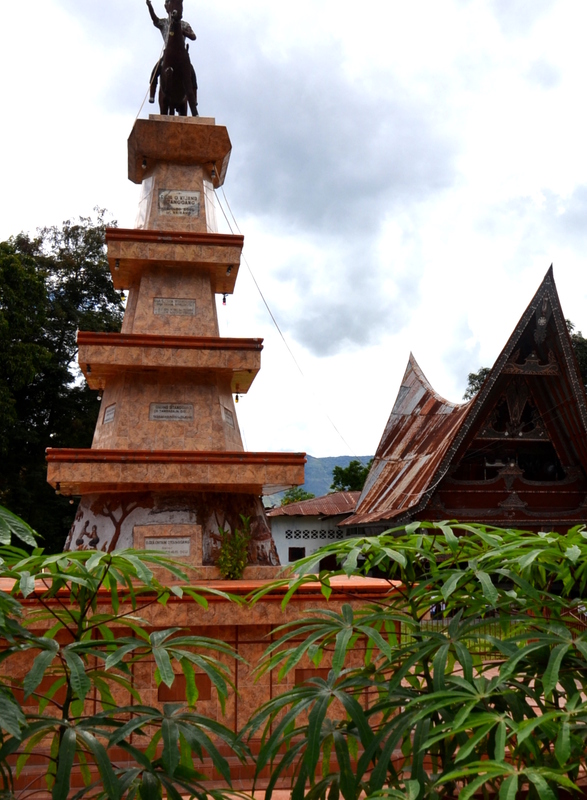 The Toba Batak people are Muslim, Christian, or Batak religion. 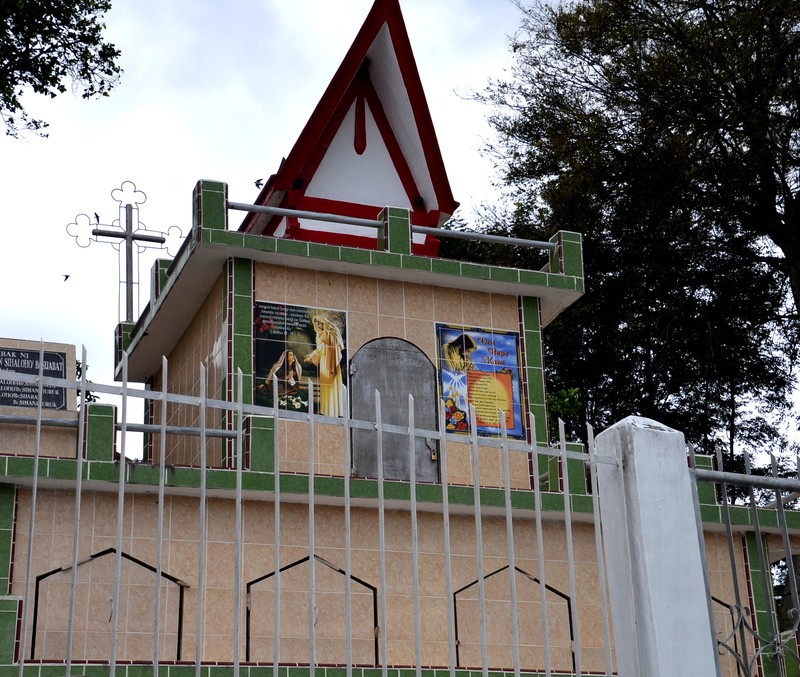 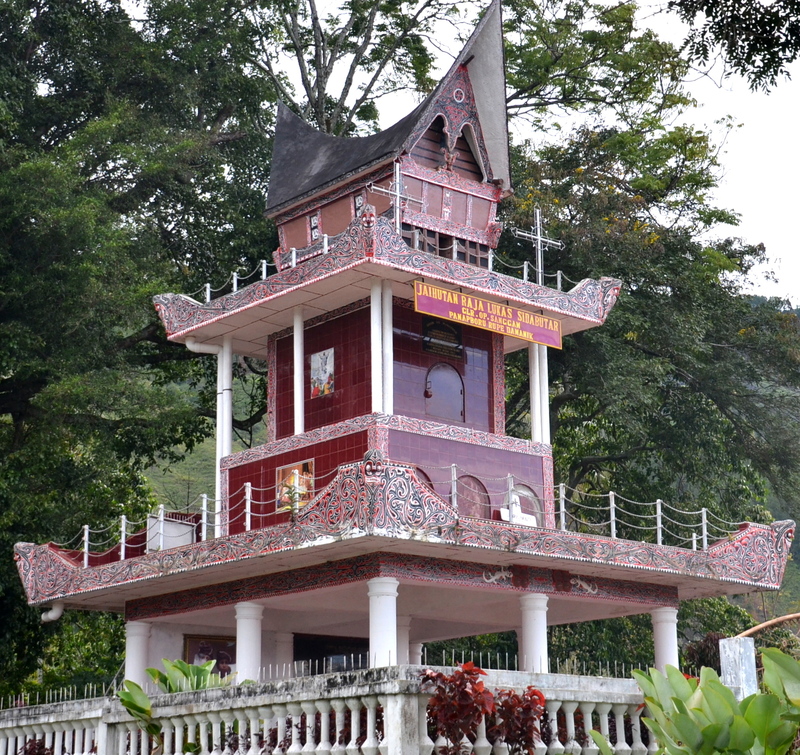 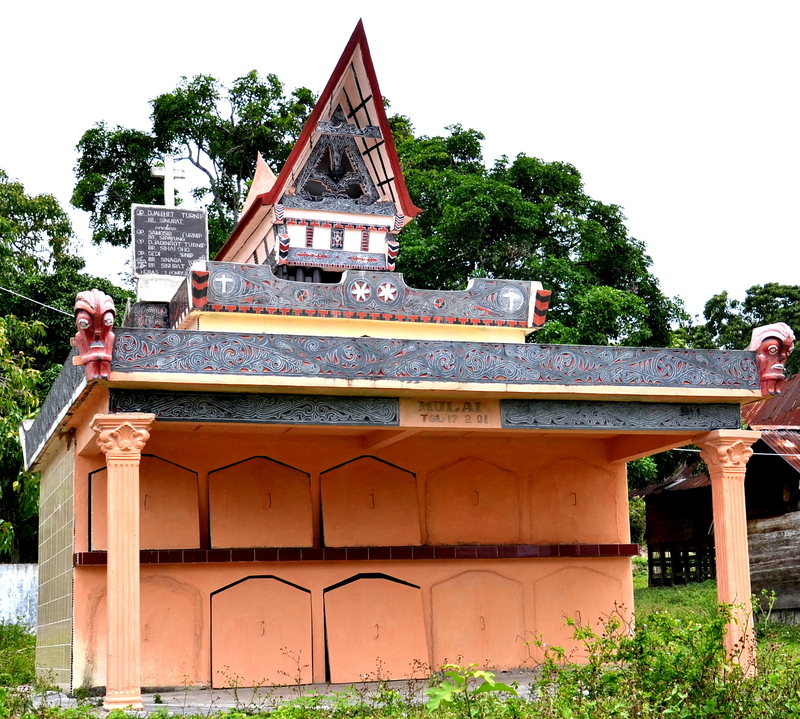 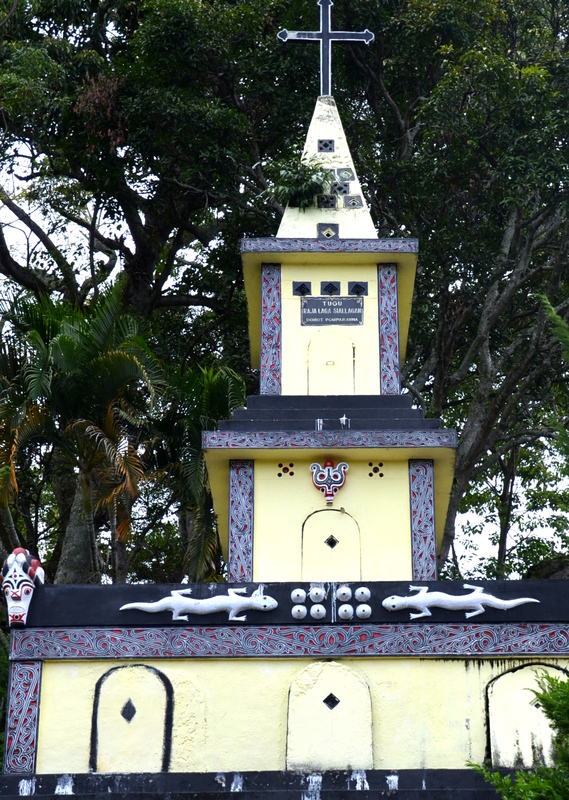 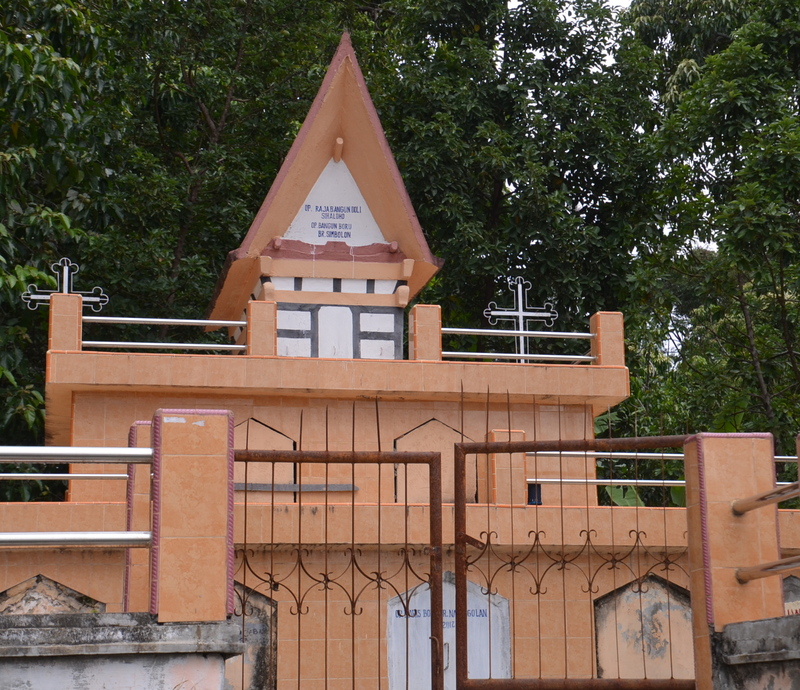 Each Toba Batak family has a family tomb on their property as a place of honor for generations of family burials. 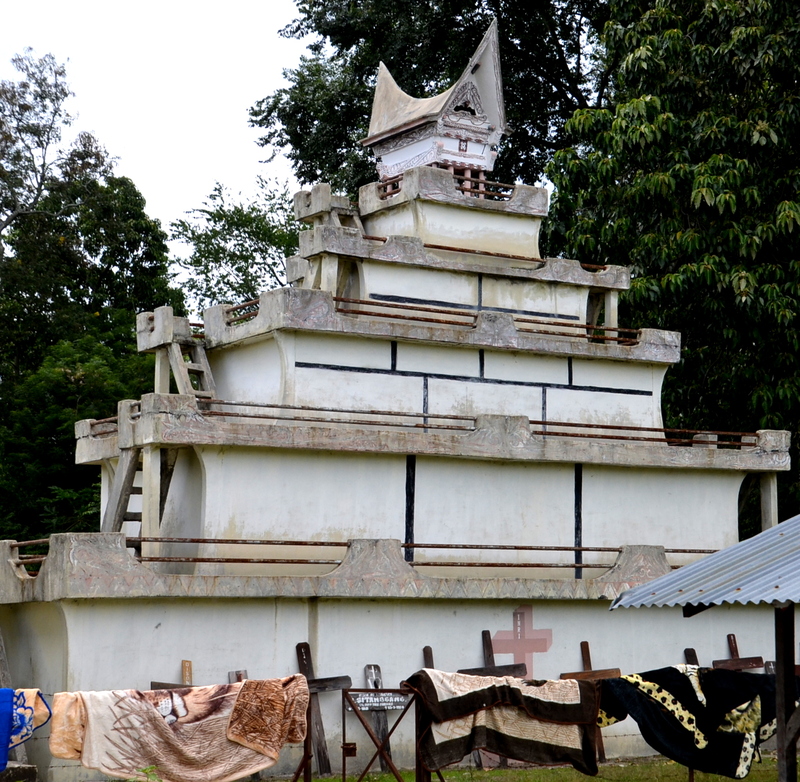 Some of the tombs were as high as 5 levels with stairs to reach them. 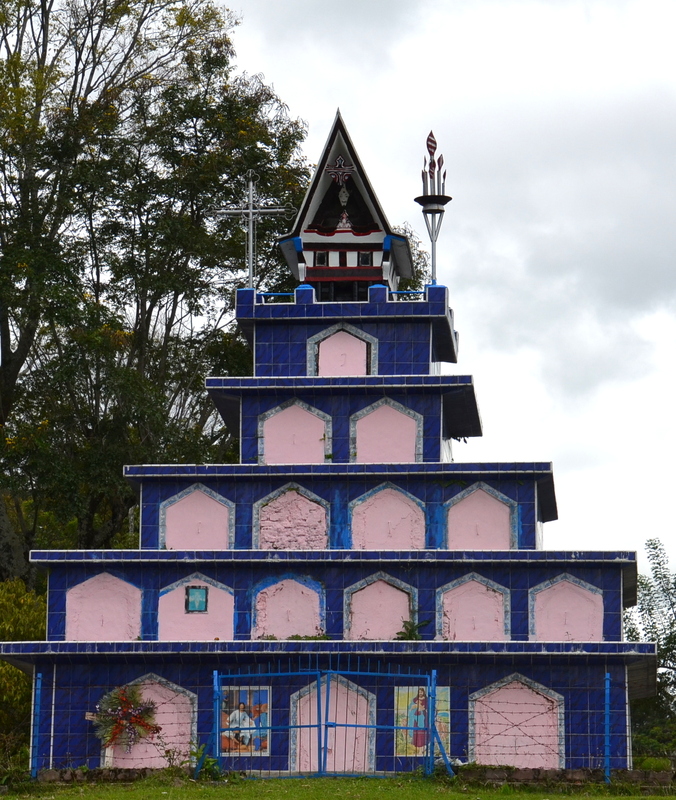 But, it was not only the design but the color of the tombs that made each one outstanding. 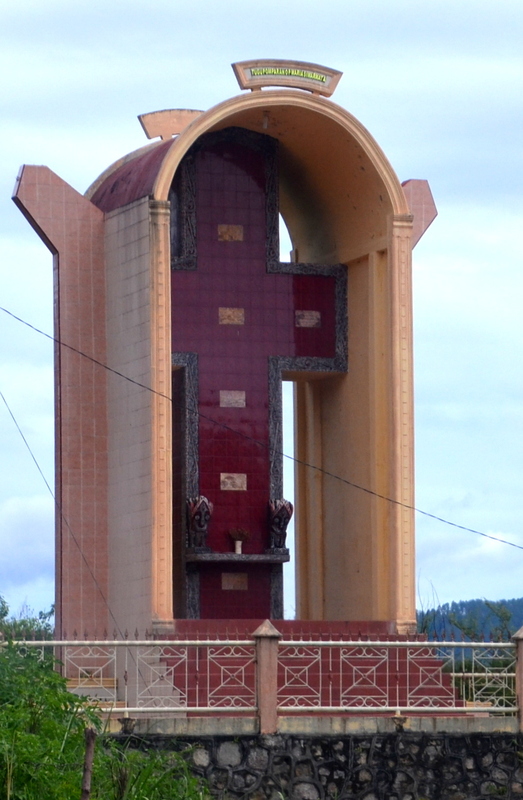 Orange, yellow, pink, white, burgundy, purple and navy were the bright colors most often used on the facades. 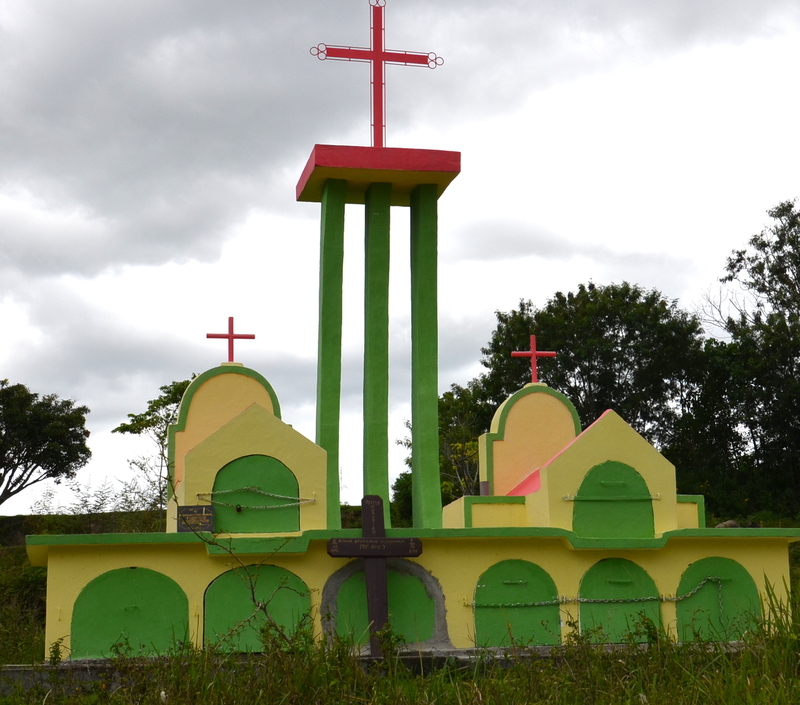 Several tombs were grouped together, but most stood alone like sculptures. 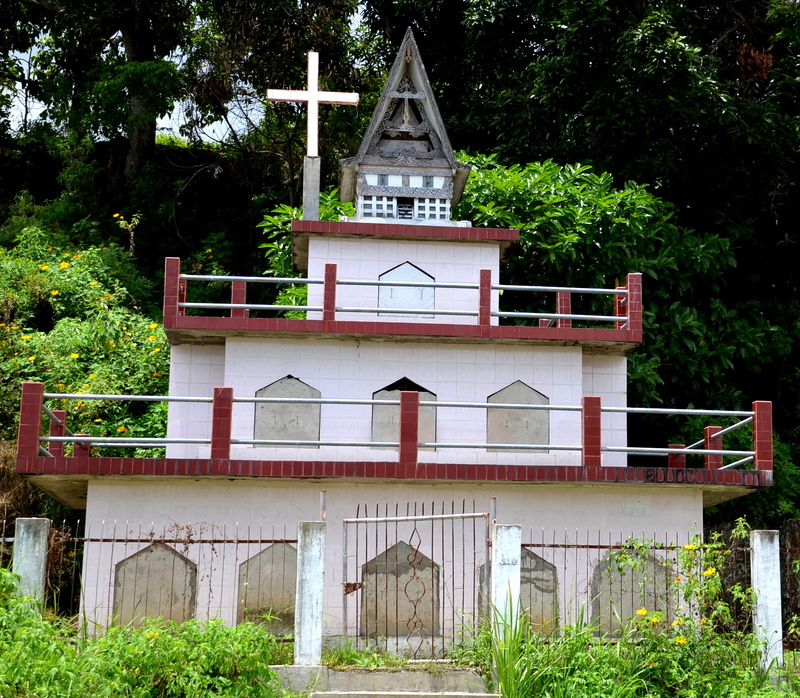 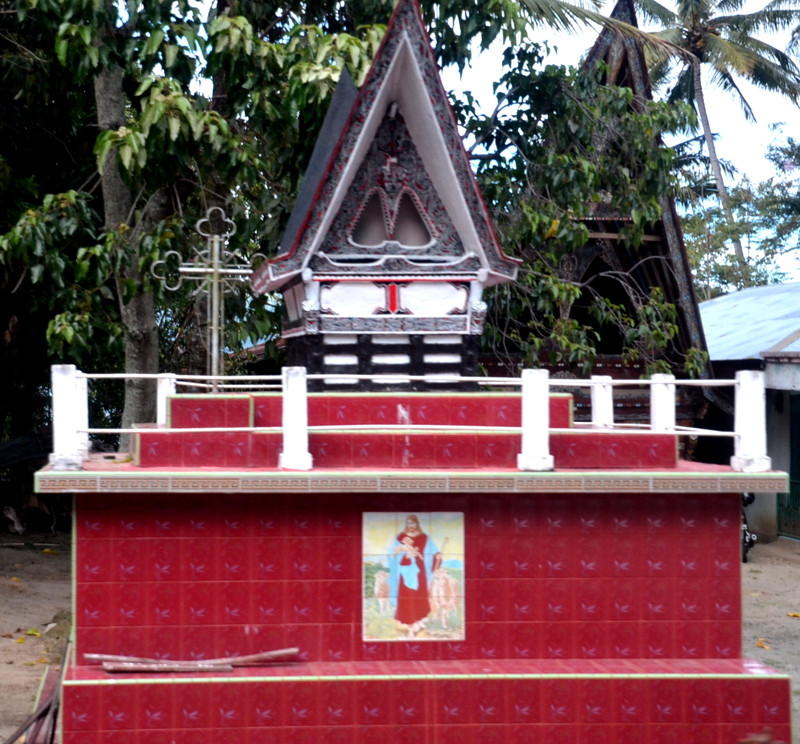 Tombs were made of marble, stone, tile, or concrete and are built to last years for Toba Batak family members. 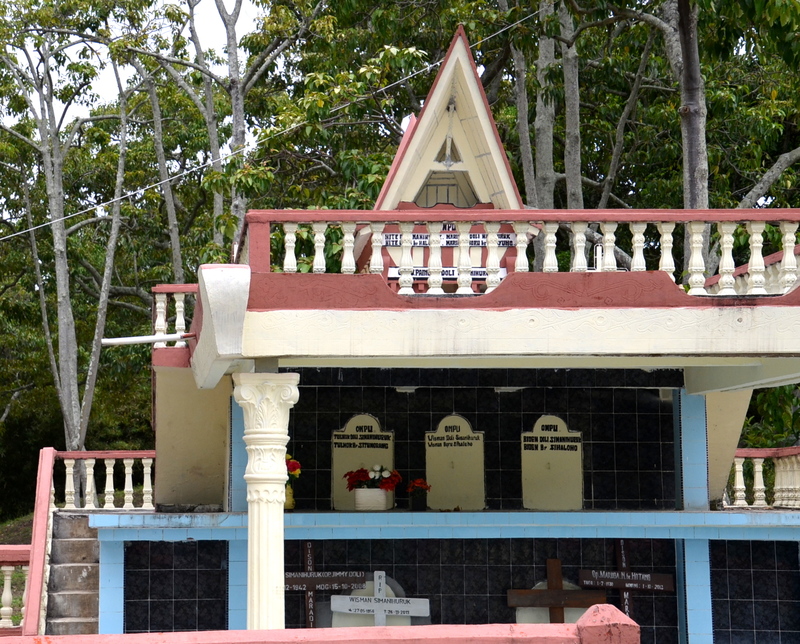 Many had designer fences around them and it seems each family tries to have the most outstanding tomb on the island. 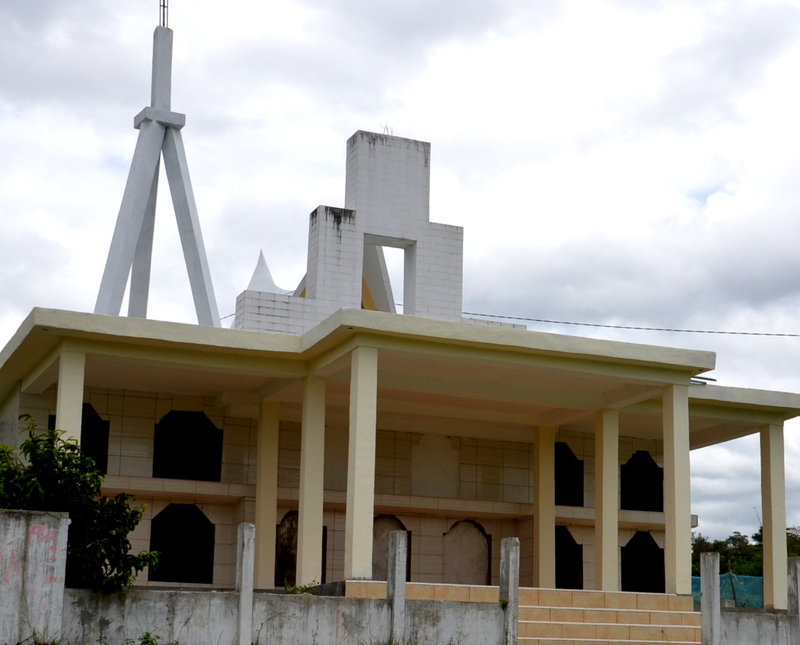 Each family tomb and plot of land is handed down to the next generation to use and keep for the next generation. 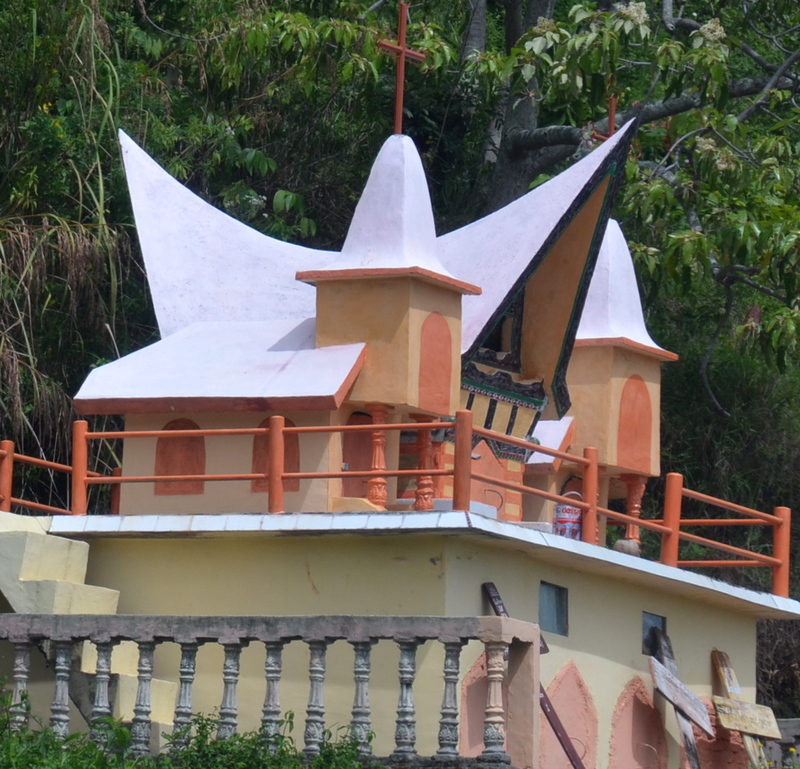 Interesting pix. 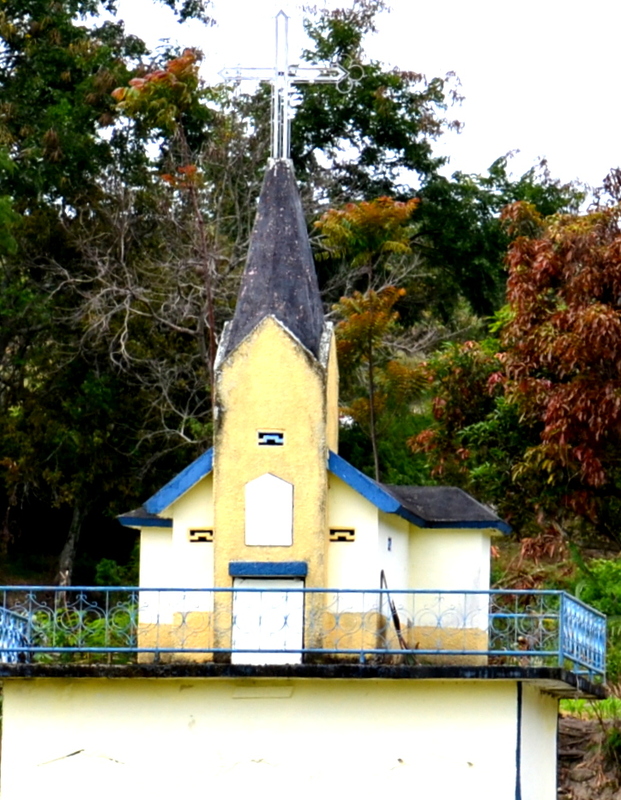 I like how you let the pix tell the story.